Freeborn is a city in Freeborn County, Minnesota, United States. The population was 297 at the 2010 census. 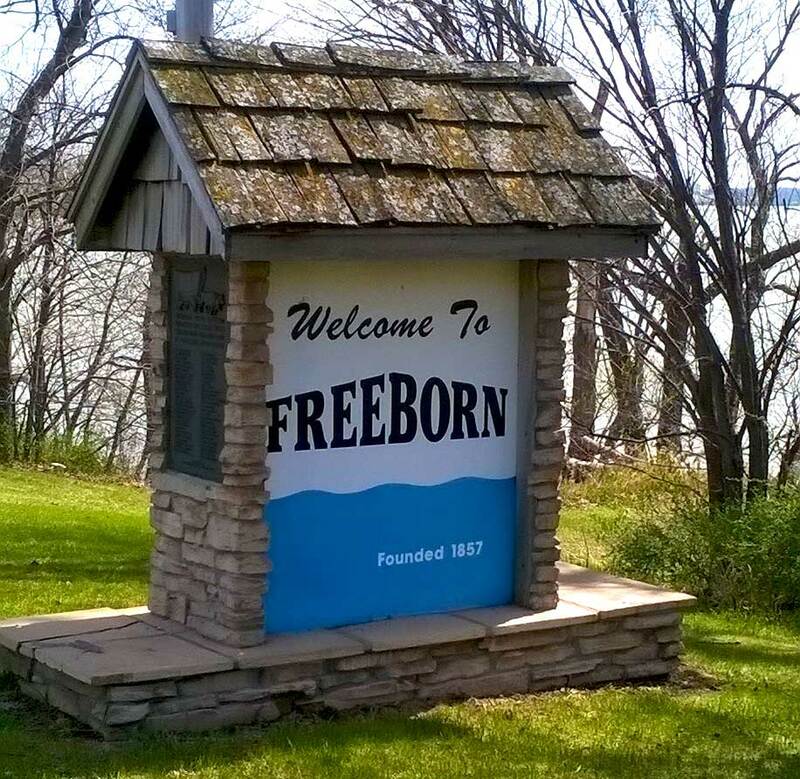 The city of Freeborn, like its namesake county, was named in honor of William Freeborn. FREEBORN Township was first settled in July 1856 and was organized May 11, 1858. Its village, in sections 34 and 35, platted in June 1857, and the lake beside which it lies were named like the county in honor of William Freeborn, whence also the township received this name. The village was incorporated on August 12, 1858, then was in an unincorporated status until reincorporated on March 27, 1949. Its post office was first named Freeborn city, 1857-58, at postmaster Ludwig T. Carlson’s home; when Lafayette T. Scott built his hotel in 1858, the post office was moved there, and Scott became postmaster.